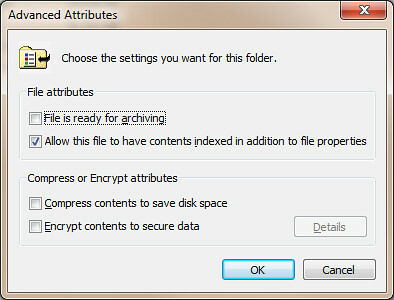 You know that you can right click on a file/folder, select properties, click advanced and then compress contents to save disk space(see image). 0 are compressed and 8 are not compressed. 1,833,822 total bytes of data are stored in 1,833,822 bytes. 9 files within 2 directories were compressed. 1,833,822 total bytes of data are stored in 435,158 bytes. The compression ratio is 4.2 to 1. 8 are compressed and 0 are not compressed.